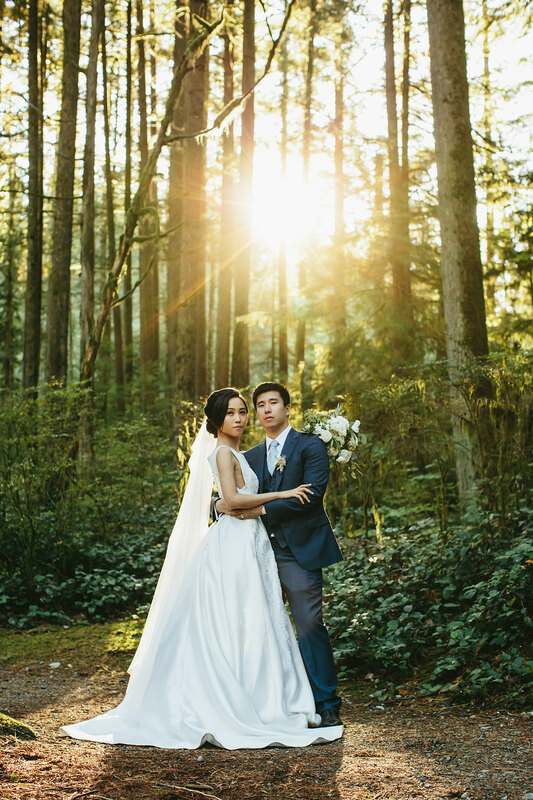 It’s exciting to exchange emails with a bride and groom all the way in Beijing and then to be able to show them around your alma mater, the beach you take your kids to and your favourite quiet bit of rain forest right as the sun is setting. 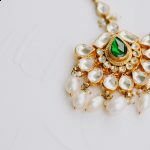 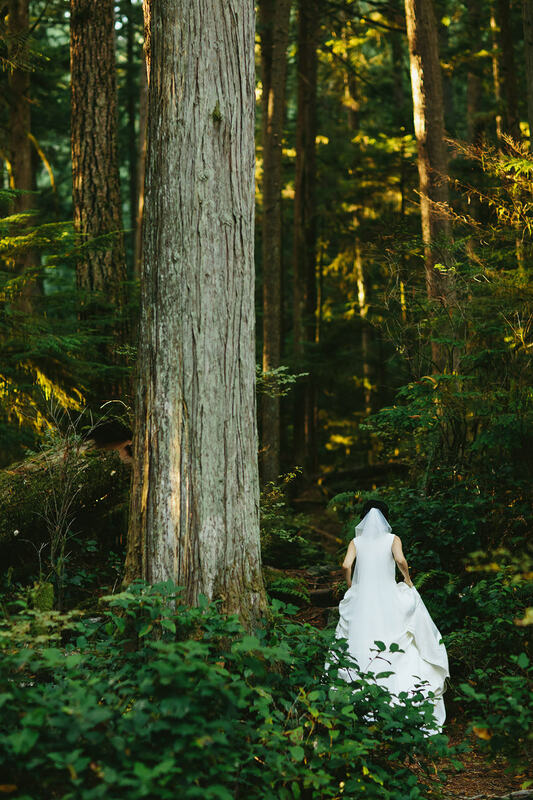 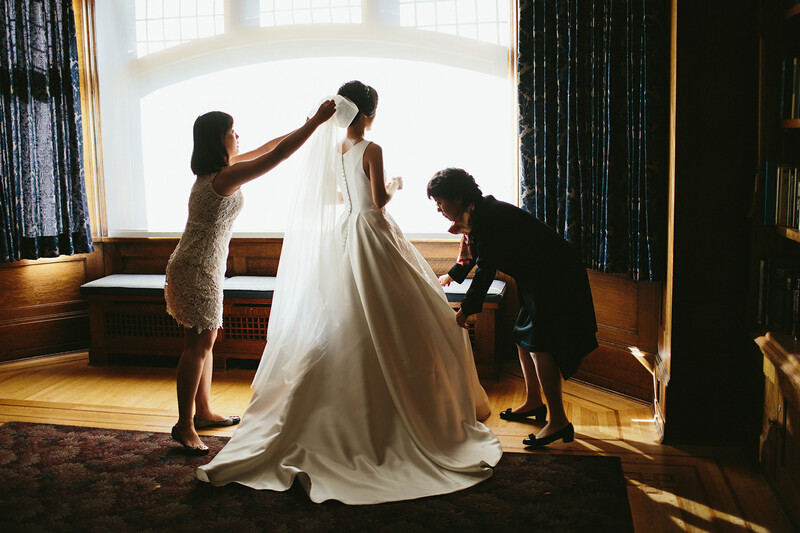 Even better if the bride has not seen anything quite like it before. 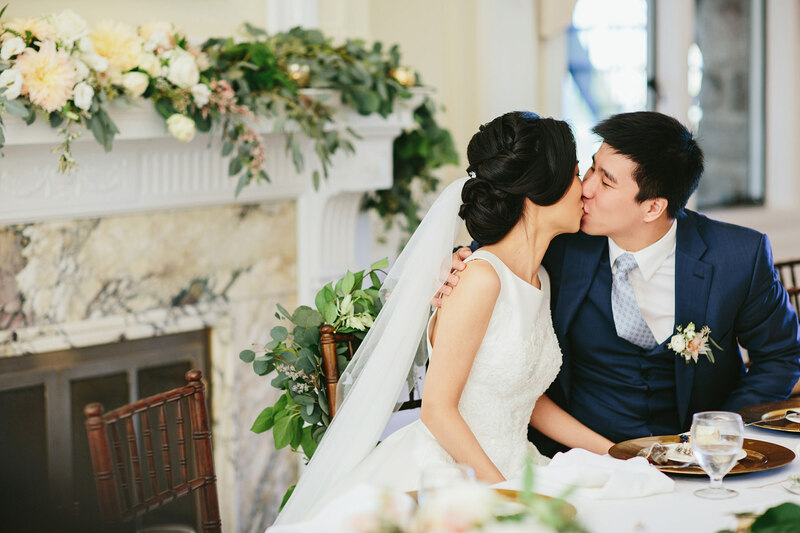 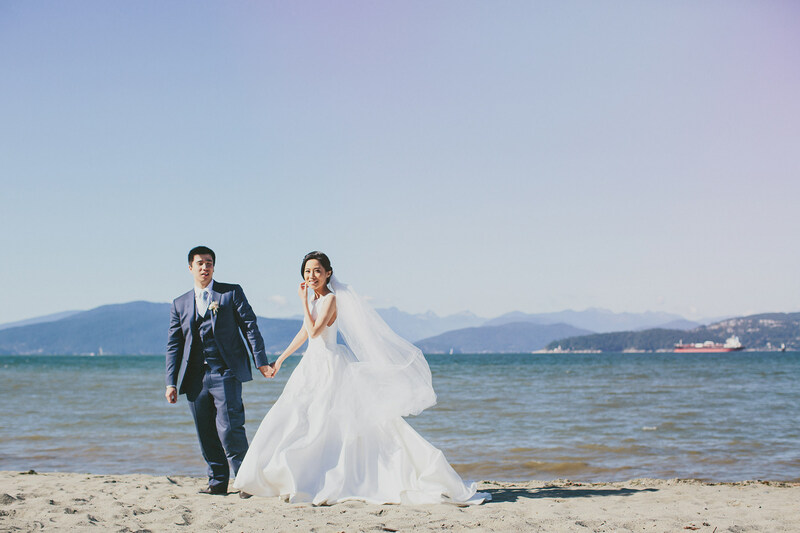 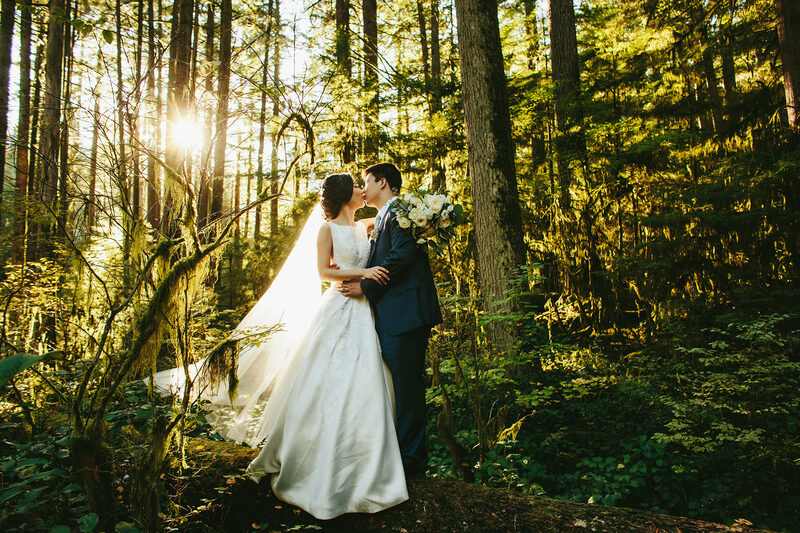 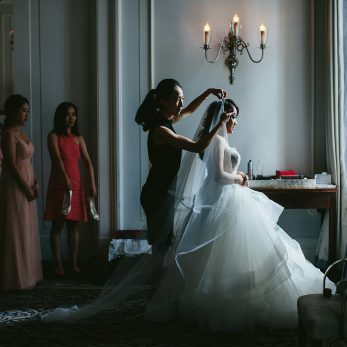 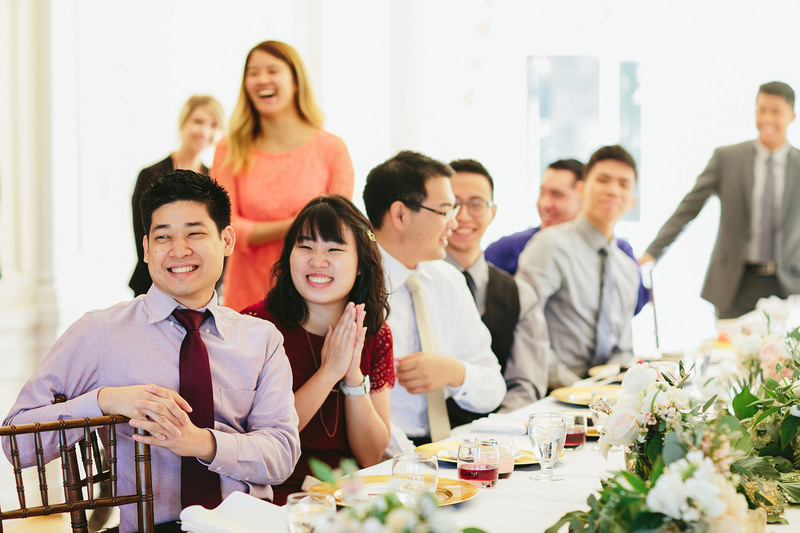 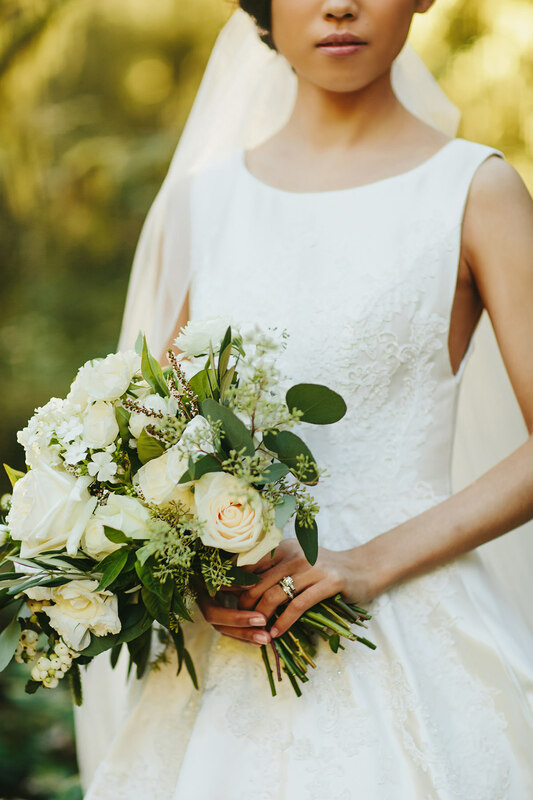 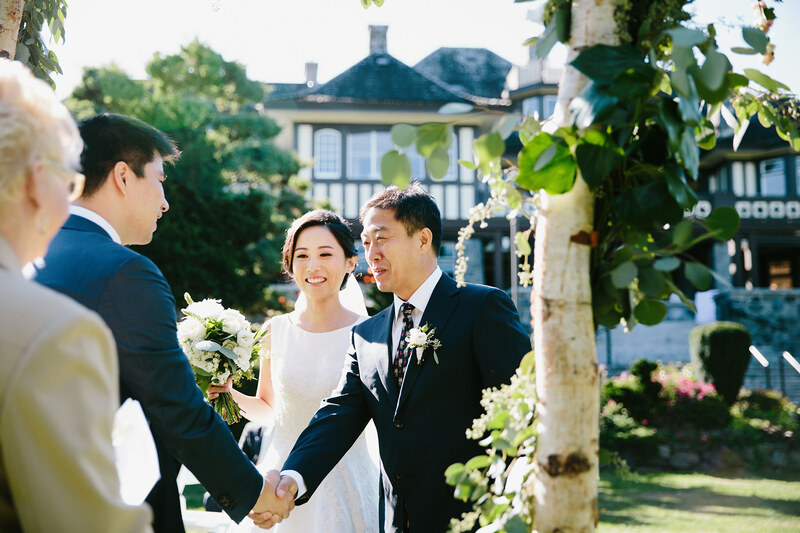 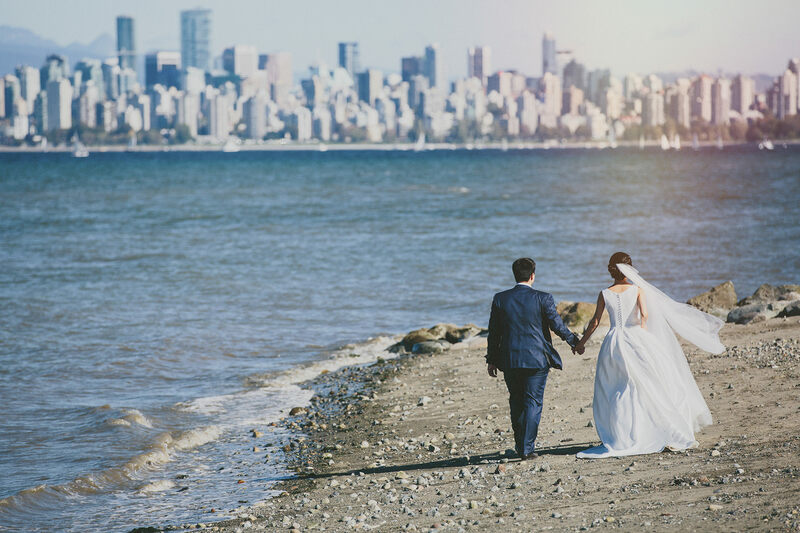 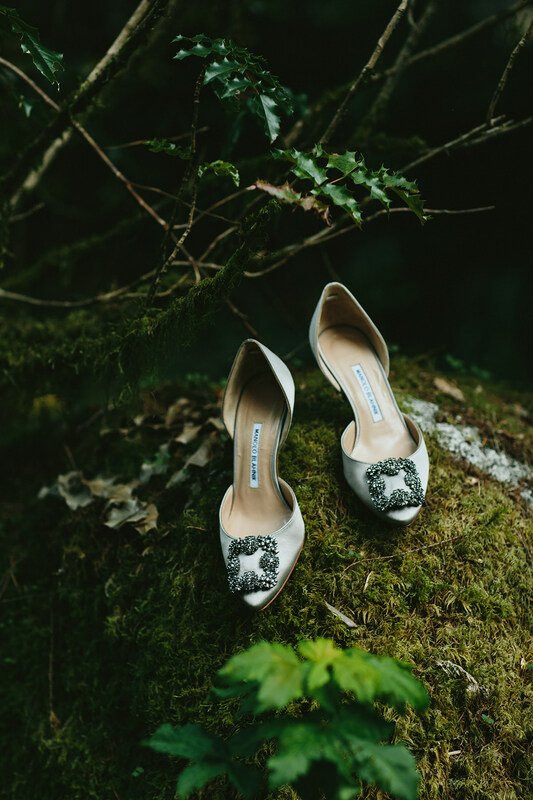 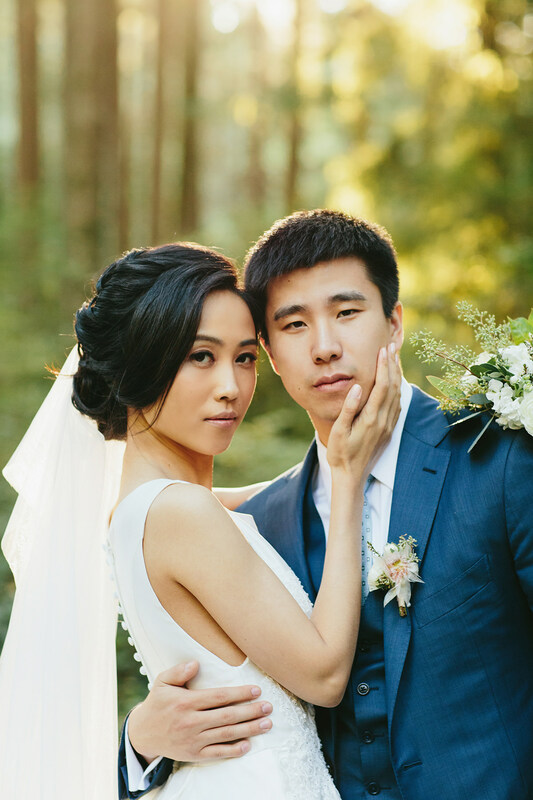 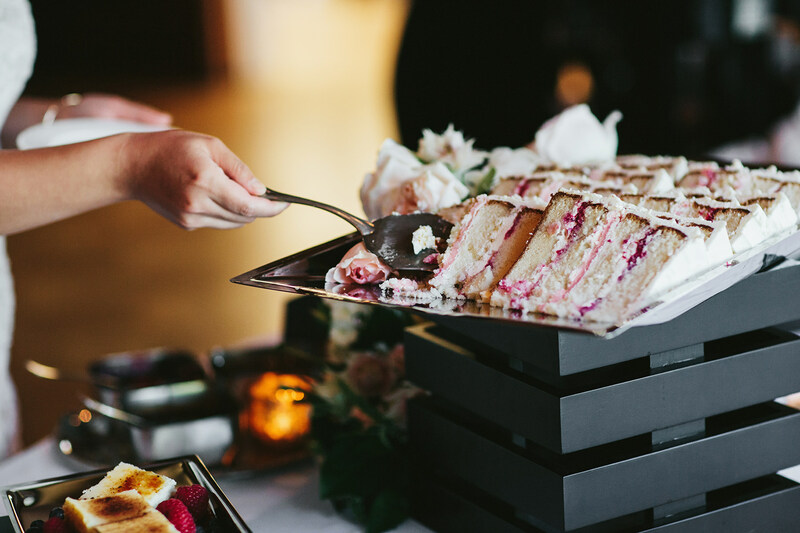 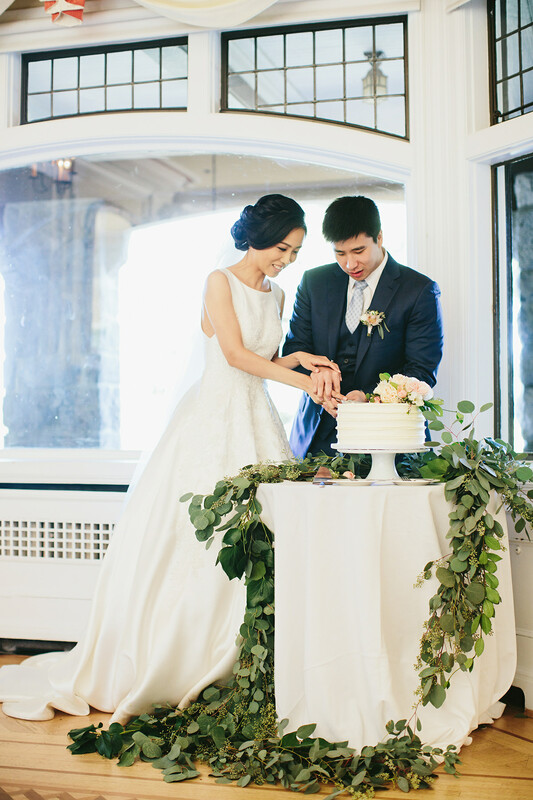 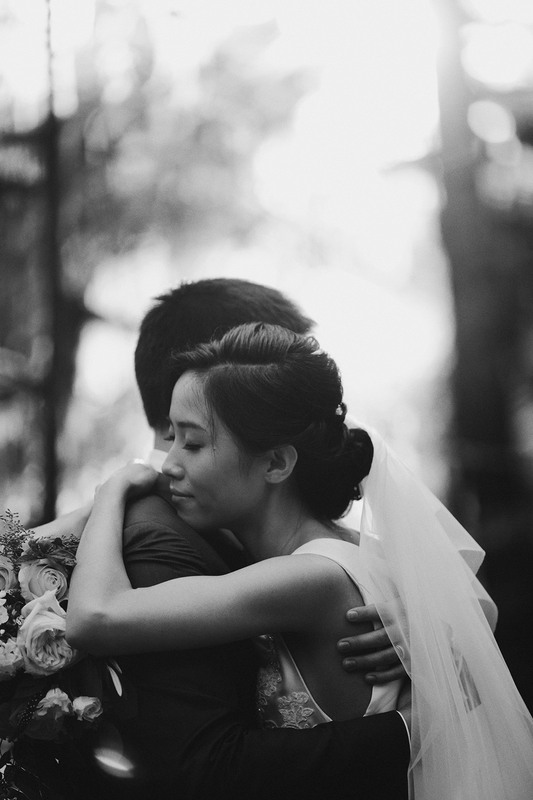 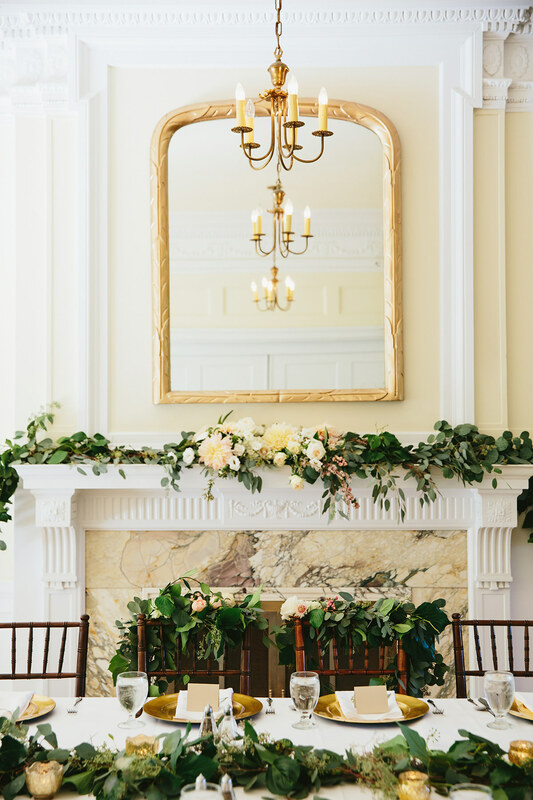 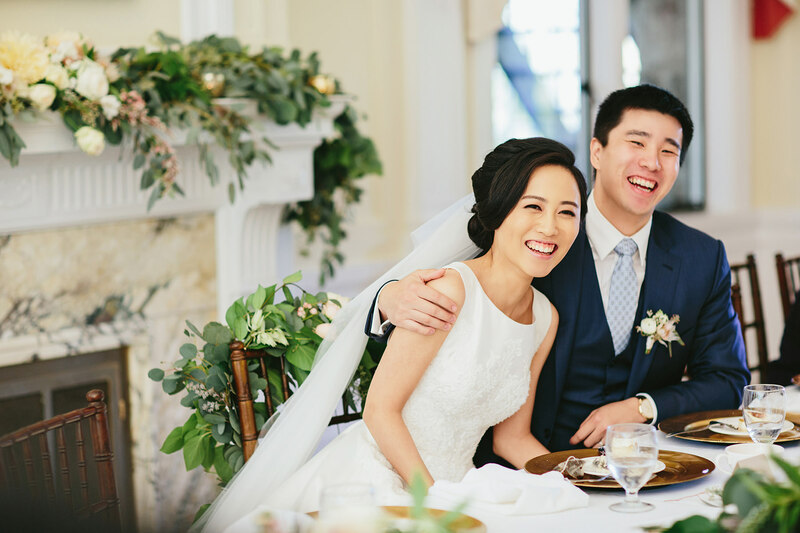 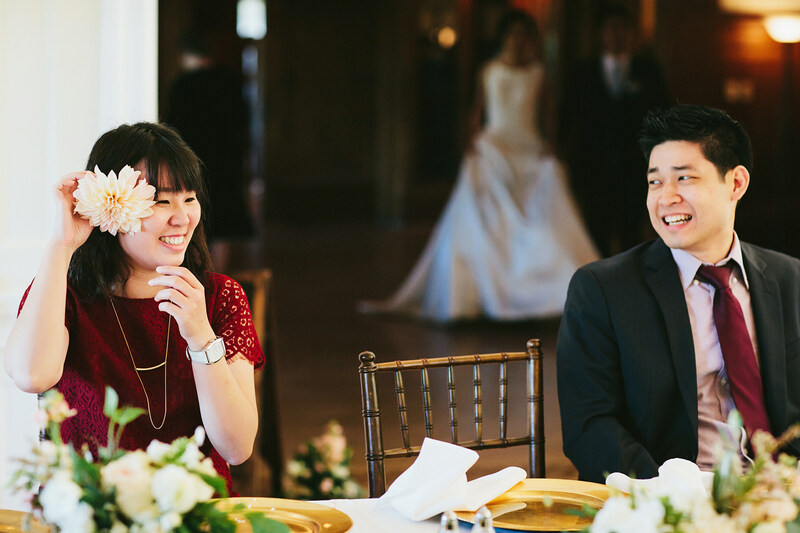 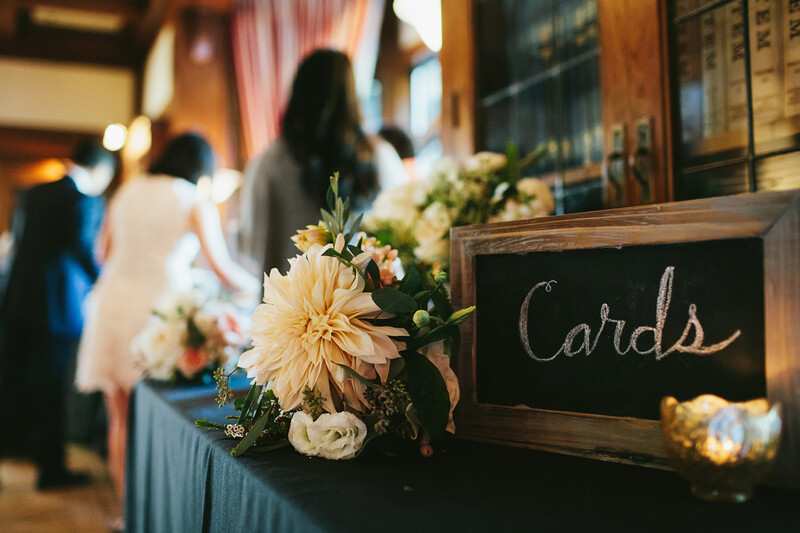 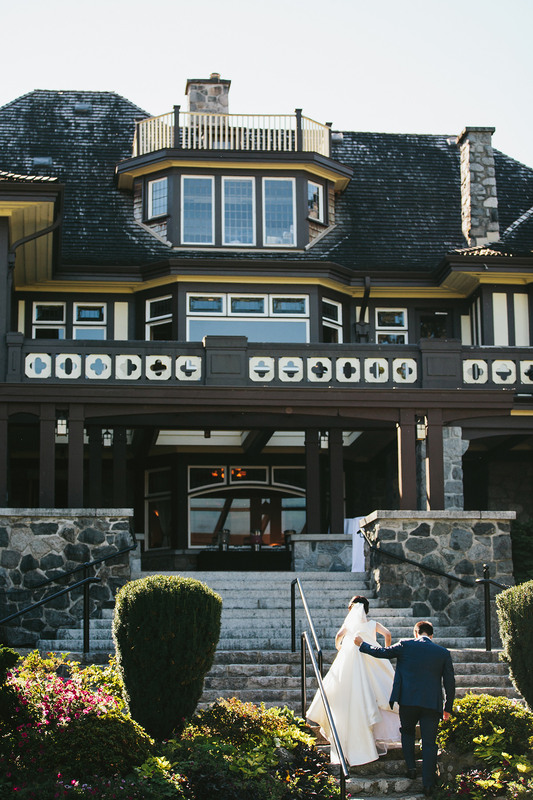 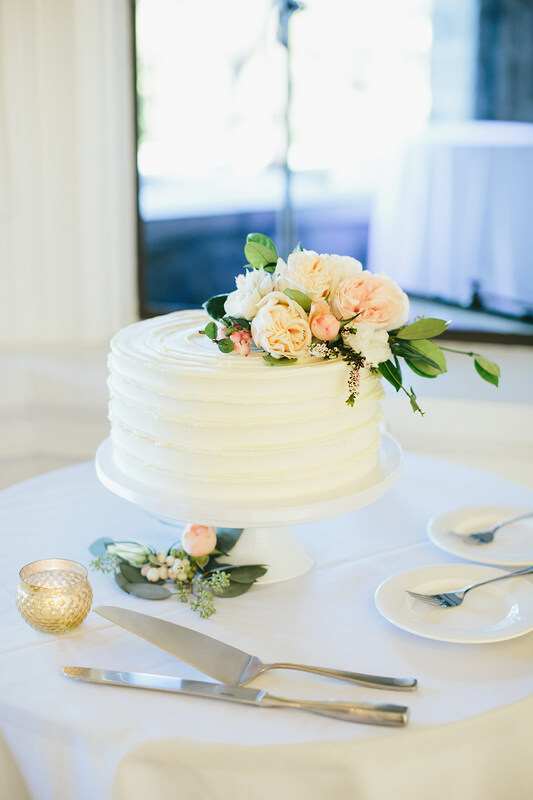 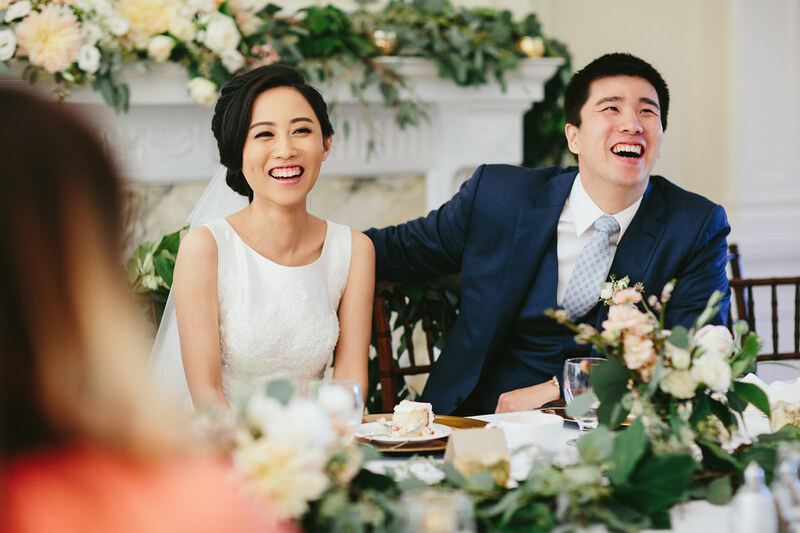 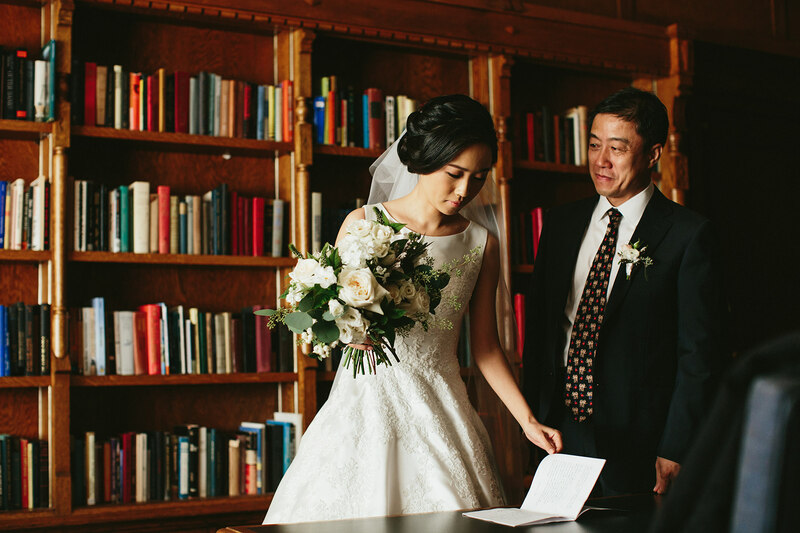 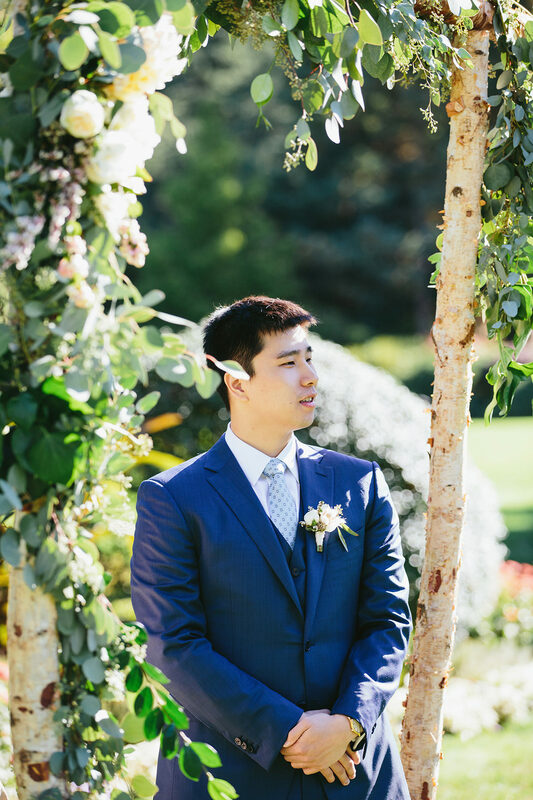 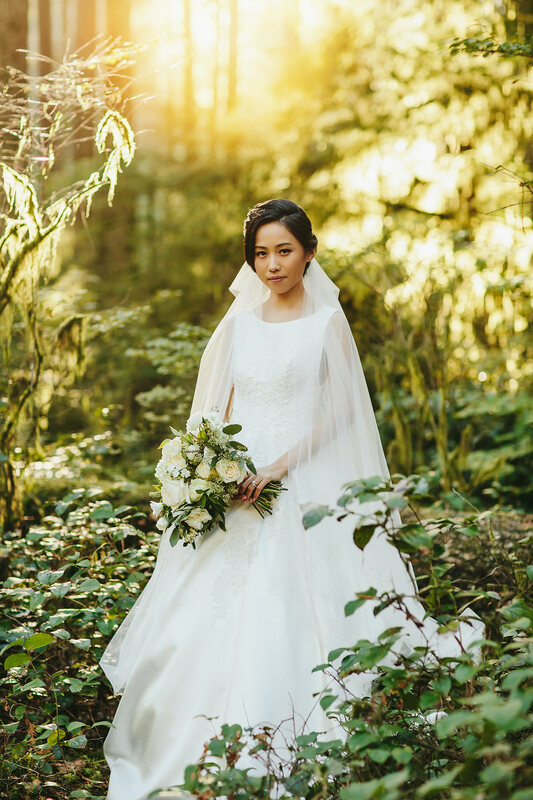 Mengzhou and Michael had an intimate morning wedding at Cecil Green (where, incidentally, my parents had their wedding reception) designed by Spotlight Events with the help of Celsia Florist. 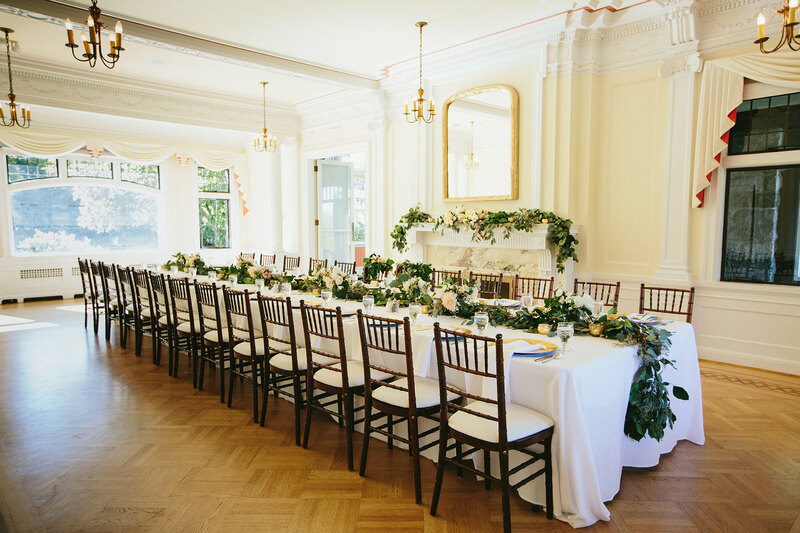 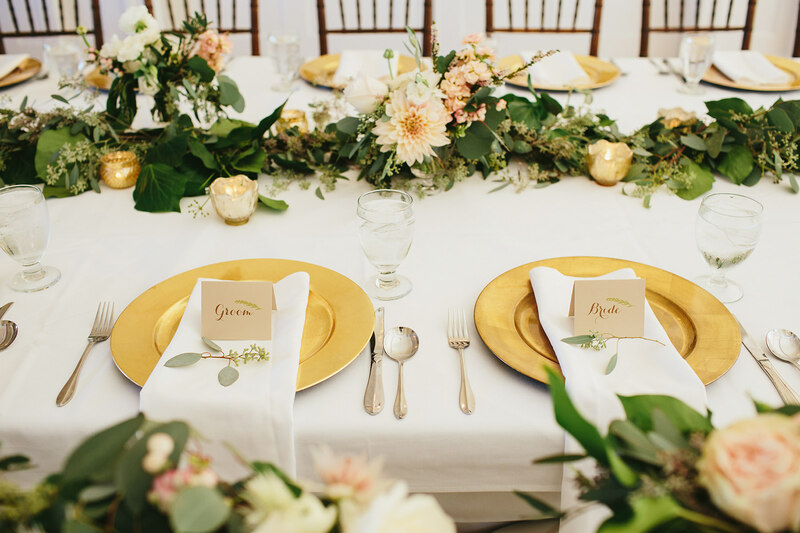 I am a big fan of luncheon receptions and had great fun photographing the gorgeous leafy decor. 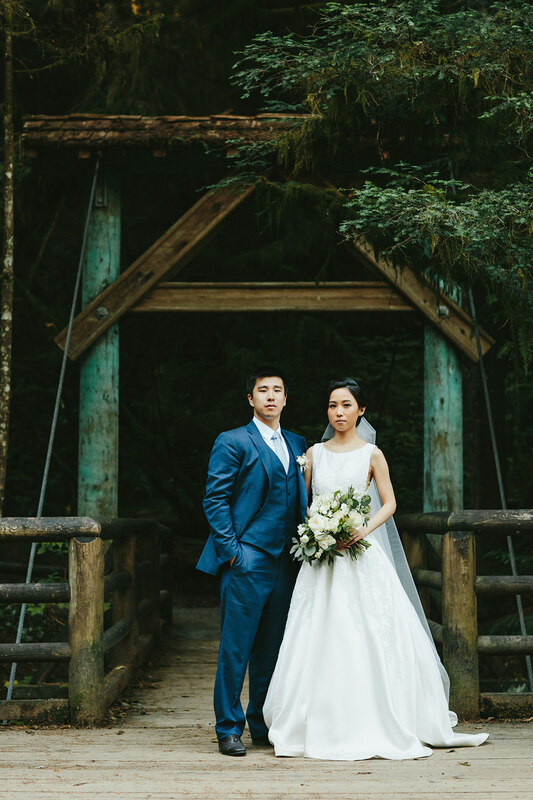 After lunch Jules and I had the pleasure of taking the bride and groom to the beach and forest before they continued on to dinner with the rest of their families back in the city. 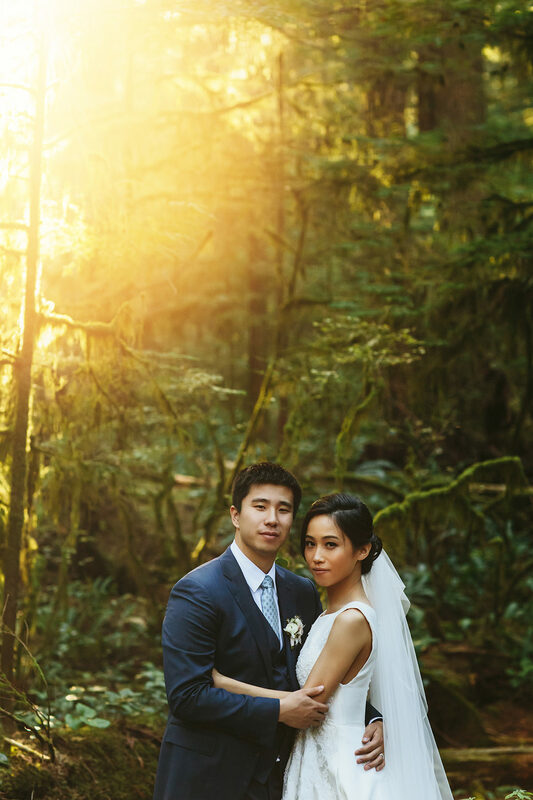 It was a day that made me know I’d miss Vancouver.